Alice finds it hard to define herself as a painter, weaver or mixed media artist but she would consider herself as a Maori contemporary artist, exploring life creatively through as many art forms as she can. She studied Maori Design and Art at Te Wananga O Raukawa in Otaki, NZ (2002). Come and connect to this beautiful land and hear about traditional Maori weaving protocols with Alice Spittle. Learn some basic weaving techniques using harakeke (New Zealand flax) to create 1 or 2 pairs of natural or coloured earrings. Put a smile on the face of a friend or just create something special with Alice Spittle. 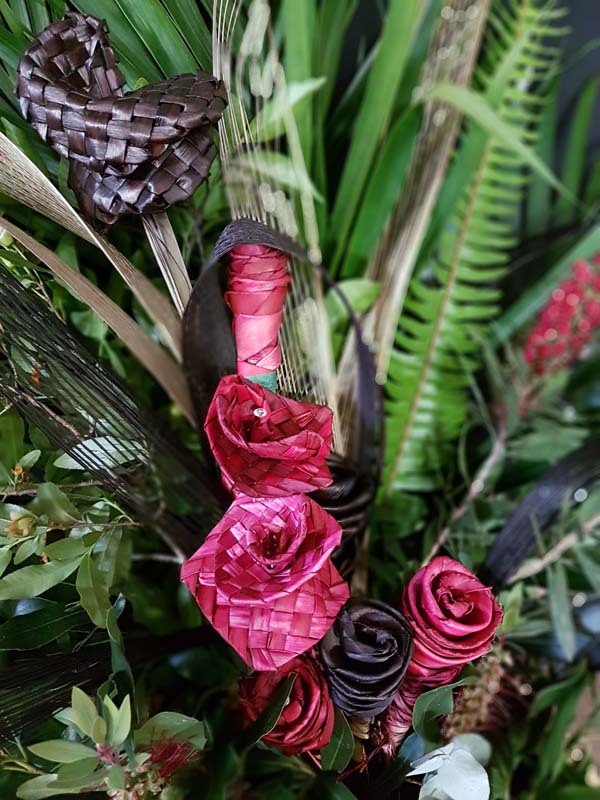 Learn traditional Maori weaving practices and make 3 types of Putiputi (flowers). After you have created your flowers, keep them natural or add some colour before creating your beautiful bouquet.